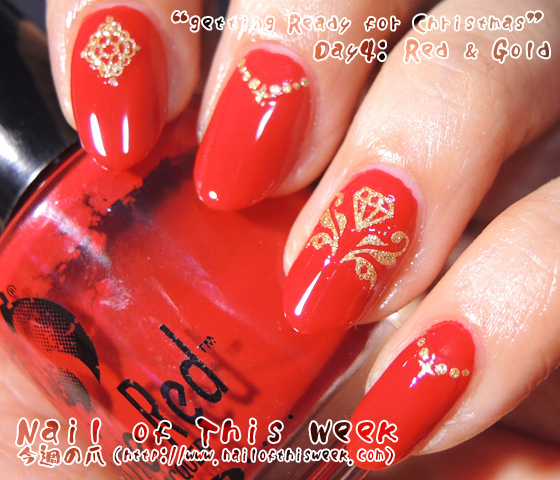 grfC Day4: Red and Gold : Nail of This Week. Getting ready for Christmas challenge Day 4 is “Red and Gold”. I love this! So elegant and pretty! Indeed Elsa!! I REALLY might get more!! Thank you so much maRyya!